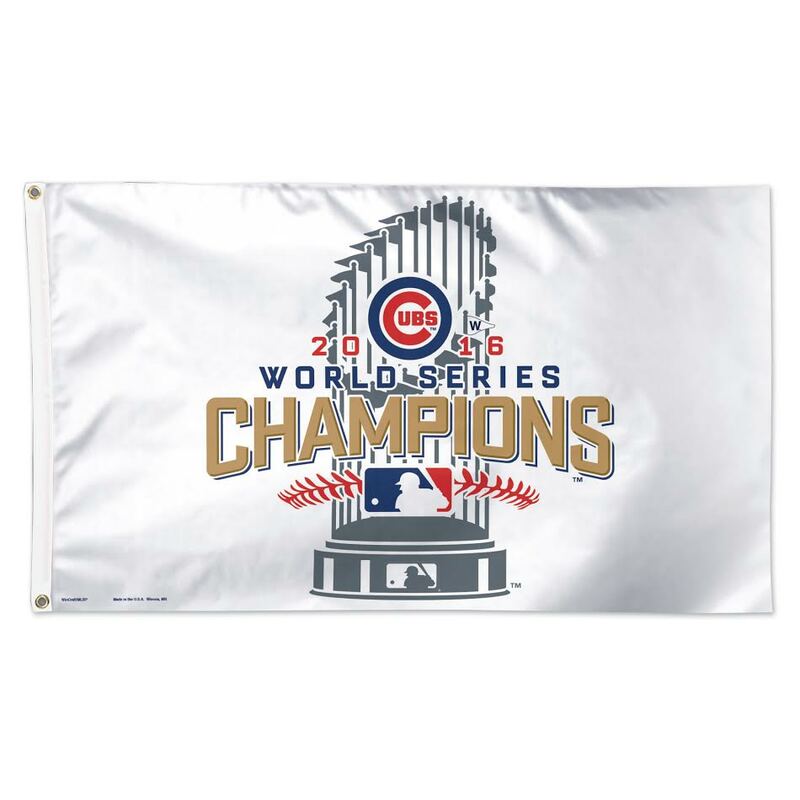 Congratulations to the Chicago Cubs of the 2016 World Series! 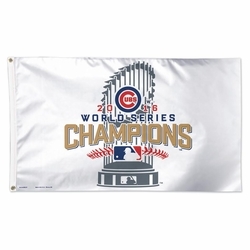 Our 3'x5' Major League Baseball flags are constructed from a long lasting polyester knit material and have a standard D-ring. Weather resistant for outdoor or indoor use. Exact design is subject to change. 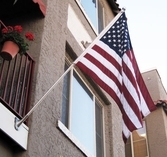 This flag is produced at the close of the series.